The beauty of this insect is represented here by combining a body of rose gold with twinkling cubic zirconia wings. 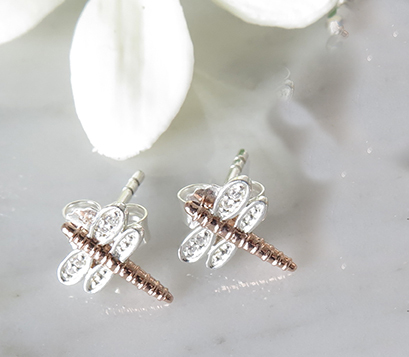 These very cute stud earrings measure 10mm x 10mm. 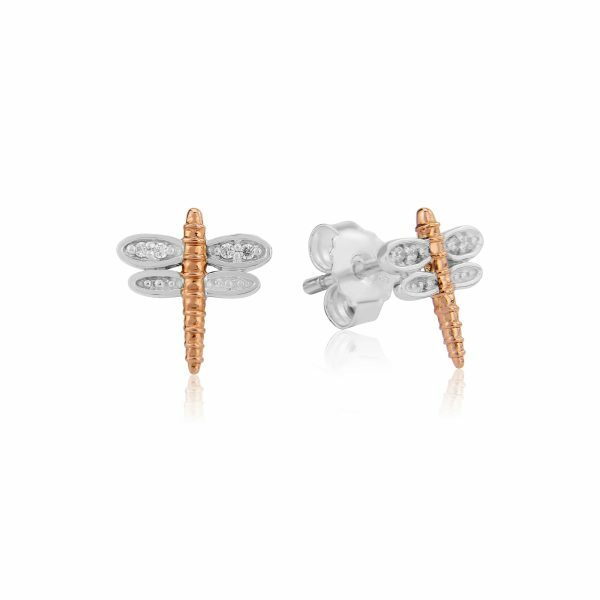 14ct rose gold vermeil with the post and butterfly in sterling silver. Dragonfly Pendant The beauty of this insect is represented here by combining a body of rose gold and twinkling cubic zirconia wings. The pendant is on an adjustable chain of which 2 sizes are available. Pendant length 22mm. Sterling silver, 14ct rose gold vermeil, cubic zirconia.